From the 24th to the 26th of April this year, in BelExpocentre, Belgrade will be held 5th RENEXPO® Water & Energy, International fair trade, which will bring together producers and distributors of product representatives of scientific institutions, design firms, water companies, local self-governments, public utility companies , ministries as well as financial institutions that invest resources in renewable energy sources, energy efficiency and water management. 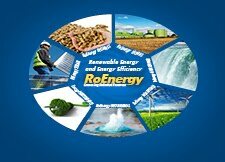 RENEXPO® Water & Energy Fair expects over 120 exhibitors, of which 80% are international. 2000 visitors and about 700 participants of conferences will have the opportunity to get acquainted with foreign and domestic projects, technologies and innovations in terms of sustainable energy that is necessary for the future. In cooperation with numerous embassies, several national booths will be held in which companies from Germany, the Netherlands, Hungary, the Czech Republic, Croatia and other countries will be presented. 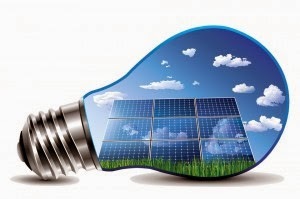 Energy Efficiency is the theme of a free seminar, which aims to promote the energy management system in Serbia and present the practices of the countries of the region and the EU. The event is intended for licensed managers and anyone interested in improving energy efficiency in building, manufacturing processes and available technical solutions in this area. Enhancing EE is a key task and the goal is to achieve an improvement of 20% in energy efficiency by 2020 at the EU level. German Organization for International Cooperation- GIZ will present projects of EE and renewable energy through participation in the fair and conference. Also, companies like SIKA doo will present their innovative technologies in terms of building materials. If you want to be part of an international dialogue on key topics of the future, write to info@reeco.rs or visit site www.renexpo-belgrade.com.